I finally did it. I finally decided to sign up for the Grove Collaborative so I could save money by getting that great looking package of freebies that I was seeing other women get. I had consider signing up before…but wasn’t sure about it. I don’t particularly like subscription box services because of the monthly cost but this time was different. This time I realized that this was actually a good deal for me – a free five piece set and free shipping! I ended up with and extra freebie too somehow. I also saw that there were options that could work for me as far as the subscription options went. And, I already buy a brand of toothpaste they sell at a competitive price compared to where I buy. You can see all I got and get the scoop in my video below. Use my referral code to see if you can get the same deal! I don’t know how long this was is being offered. I will be compensated if you do use my link and then you can get your own referral link to share with your friends! 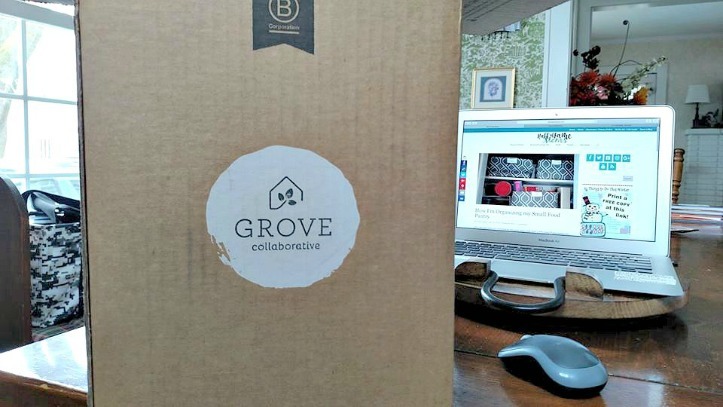 What I LOVE about Grove is that it’s SUPER convenient and we can shop from home! This is the best natural products at great prices!